Messaging service Snapchat reportedly turned down a $3 billion offer from Facebook. Some view the decision to not sell out as supremely idiotic. Others see it as incredibly shrewd. The phrase "hottest startup" is even being thrown around. 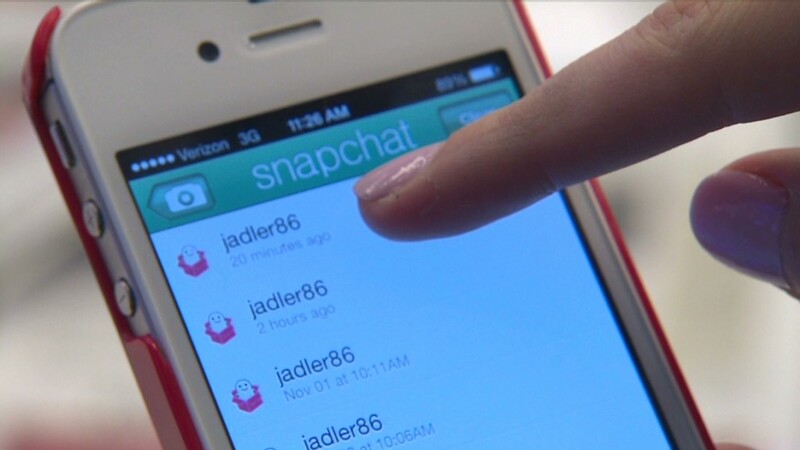 So what exactly is Snapchat? The two-year-old company founded by a group of Stanford undergrads is essentially a mobile photo and video sharing service. It is available for both iOS and Android devices and built around one central premise: anything shared on Snapchat self-destructs. It can either disappear after the recipient (or recipients) view it, or if using the new Snapchat Stories feature, it will vanish 24 hours after it's first posted. Videos range from 1-10 seconds, and photos can be viewable for that same length of time. Before sharing, users have the option of annotating clips with text and marker tools. After you send your clip out to friends, they'll see it pop up in what essentially looks like an email inbox. While it's possible to make profiles publicly accessible on Snapchat, it is the furthest thing from Facebook (FB)-owned Instagram in look and feel. Most people prefer to keep sharing and activity between friends, since that's likely the reason why they started using Snapchat to begin with. But given Snapchat's history, it will be curious to see if they stick with the private, ephemeral aspect as their calling card. When Snapchat first hit the iPhone App store, it was ambiguously marketed as a sexting app. But when more people started using it to share the dumb, goofy moments of their lives, the startup quickly abandoned that strategy. Who uses Snapchat? Tech nerds love it because, duh, they are tech nerds. Teenagers hopped on the bandwagon because the self-destruct mechanism means that posts on Snapchat won't leave a mischief-filled trail of breadcrumbs for authoritarian figures to follow. And people in their 20s are gravitating towards it because people in their 20s actually go out and do stuff and have weird things to share. Or they just want everyone to know they're brushing their teeth. Though analysts are keen on the service, It's still early to say if Snapchat will join other rarefied Silicon Valley giants like Facebook, LinkedIn (LNKD) and Twitter (TWTR) or if it will fizzle out and be forgotten. But barring Facebook's failed attempt to copy the service with its Poke app, Snapchat offers something that no other major social network does. That just may be enough to tip the scales in its favor.